Every maker has a story. Be a part of Cyma Furniture Design's story by placing an order, leaving a review, and seeing your review appear here. 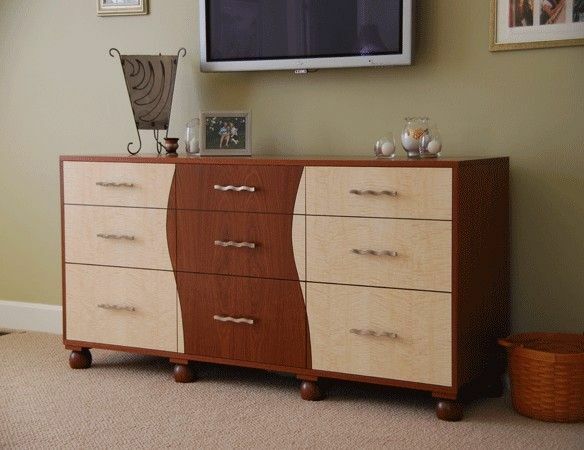 A chest of drawers with cabinet doors used in a bed room for an entertainment unit. Made from veneered panels of Sapele, Curly English Sycamore and Wenge details. The feet are solid Sapele.